The Massachusetts Port Authority and the Boston Fire Department conducted a drill Wednesday, the 12th anniversary of 9/11. 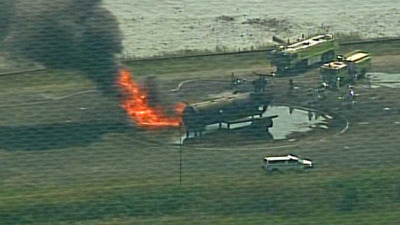 The drill involved what appeared to be a plane on fire. Boston Logan Airport tweeted that the smoke and fire was part of a drill. This is a classic example of how the government uses drills to acclimate the public, and even cause terrorism. For authorities to plan and execute this coordinated drill on the 12th anniversary of the World Trade Center attacks is irresponsible, offensive, and clearly a form of terror.